The warrior sequence of postures are probably the most well known and loved – with good reason. They cultivate strength in the body, increase stamina, open the chest, hips and groins, lengthen the spine, ground us – but for all they offer physically, they offer the same and more for our hearts, minds and spirits. When we think of the traits of the warrior, we think of power, patience, integrity, strength of mind, courage and determination. These are all traits we can develop and grow with our practice and then the yoga becomes part of our daily life and we can also feel the benefits off the mat. We all have a warrior inside us. Here’s how to find yours. 3. Make sure your hips are open and as you exhale, bend your front knee. To bring more integrity to the pose, make sure your front knee is flowing over the middle of your toes, keep your spine straight as you exhale into the pose and tuck your tailbone under to open the groin further. Next time, when you are faced with a tricky situation in real life, think how a warrior might approach it and see if you can give yourself more space in mind to respond with skill and integrity! To cultivate your yoga on and off the mat, come ands join us for a retreat! 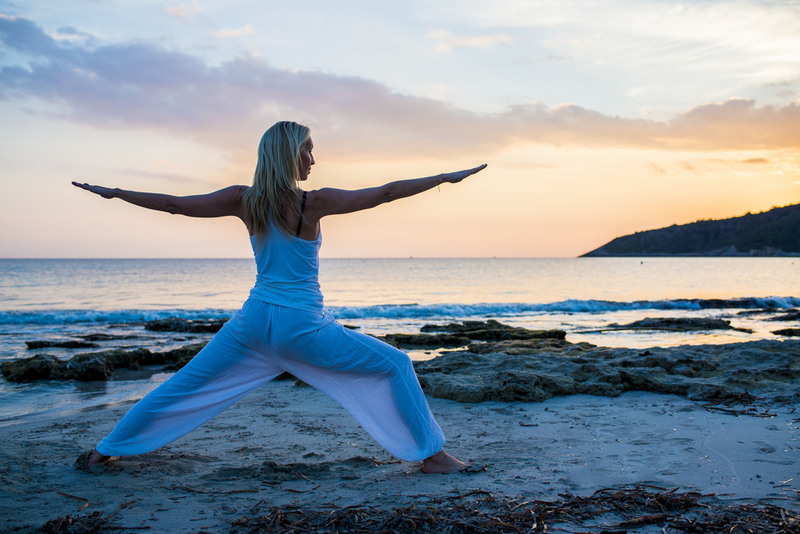 See our full list of yoga retreats here.